​The Introductory Program is the best place to start your possibly journey into the art of Kung Fu here in Calgary. This program is great because it comes with a mix of both private lessons as well as group classes. You are able to participate in 4 private lessons and 4 group classes and choose either Skills or Breathing Arts. This program can be designed to fit anyone of a mature age regardless of their physical fitness level. It's the base jump for all future programs and further training in the art. 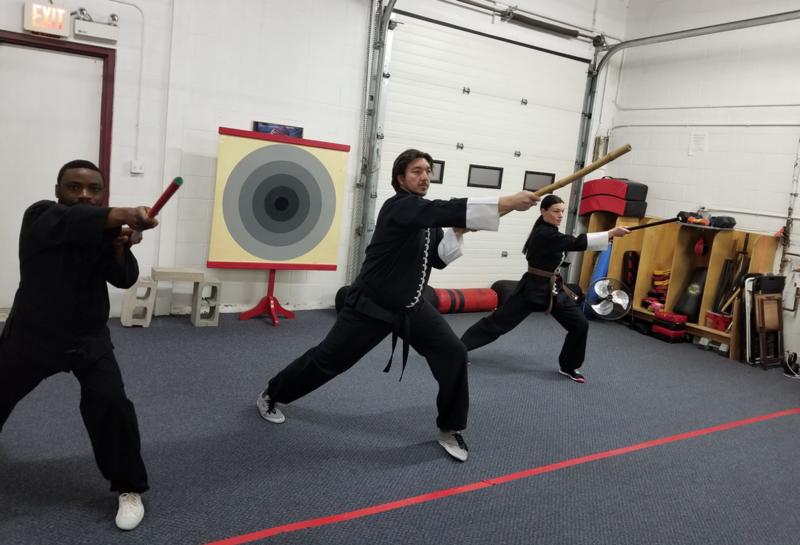 The private Kung Fu lessons will teach you about the traditions of the hall, the rules of the studio, and give you new Kung Fu knowledge to work on. This is where you'll get a chance to properly learn all the techniques from someone who has already walked this path. You'll get the chance to benefit from asking questions as well as work at your own pace. The group classes are where you're going to get your cardio, flexibility, and strength training in. You will condition your mind and body through repetition of proper technique and learn how to defend yourself against attackers of different sizes, strengths, and capabilities. Meet some likeminded people and feel the endorphins start rushing. The Introductory Program is also used as a screening measure to prevent any dangerous individuals from seeing too much of the art before we commit to them. While the teacher is laying an excellent foundation for your kung fu; the members of the school are also watching closely for your personality traits to show themselves and if you are deemed dangerous or irresponsible by the content of your character you shall not be permitted to go much further than this basic program. Most people are good people, however it is our responsibility to make sure that the people we teach will not abuse this art for personal gain.